Welcome to Productivityist – a company built with the quest to help people stop “doing” productive and start “being” productive through developing practical and tactical approaches to their work and lives. The company was founded by writer, speaker, and productivity strategist Mike Vardy, and he continues to be the main driving forces behind both the website and the company. A productivityist is a productivity enthusiast. They are someone who studies productivity, be it the tools or habits. They dive deeper into the realm than most people. Just like a comedian looks at the world differently, so does the productivityist. Productivityists, like other enthusiasts, like to go further in their craft and push boundaries. They like to explore new processes, new ideas, new ways to get things done. And for a while they wind up doing productive more often than being productive…but they start to shift the other way over time. But the term, like this website, has evolved over the years. A productivityist is also a productivity specialist, and everyone who contributes to this website and this company fit the description of the term in either instance. The Productivityist team has expanded recently to include new contributors and new coaches that help others through their productivity pitfalls through Productivityist Coaching. Hundreds of articles have been published at the Productivityist blog since its creation in early 2011. Below are some of the top posts we’ve ever published in our years of delivering the goods here at Productivityist. There are a lot of informative posts written by company founder Mike Vardy along with a slew of tremendous guest contributors over at the Productivityist blog, which can be found here. If you want to keep up with the blog, then you can subscribe to the RSS feed here. You can also get updates via email. Better still, you can subscribe to the exclusive weekly newsletter. 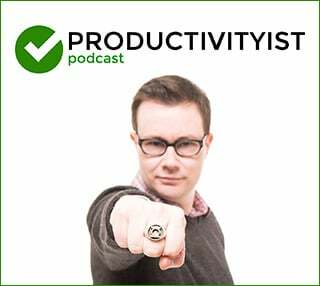 You can sign up to get The Productivityist Weekly by clicking here. The Productivityist Podcast that features conversations with experts from a variety of fields, productivity-based app reviews, tips and tactics to boost your efficiency and effectiveness, and much more. Each episode lasts approximately 30 minutes and is released every Wednesday. You can subscribe to the podcast in iTunes here. Should you want to lend your support to the podcast (beyond the usual rating and reviewing of it), visit our Patreon page to learn more about the perks involved with doing so. Articles on this site will often place links to products and apps in posts. In the interest of full disclosure, if you use those links to purchase them then Productivityist will receive a small cut from those sales. Rest assured, we only link out to products that we have put through the paces and believe that readers may get something out of if they try/purchase them as well. We also indicate if we have received a product or app for review purposes in posts.